Most events will have some components to make up the whole experience and it’s important to get the delivery right. Working with venues you’ll quickly understand that delivery and collection are key to making things run smoothly, and timing is everything. If you’re offering team building for example, you could be looking at equipment or facilitators arriving at a venue, or perhaps you’re putting together a conference. Whatever it is, there will be delivery and collection factors to consider. It’s all very well creating a fabulous proposal with lots of amazing experiences for the best event in the world! But what happens if it doesn’t fit in the chosen venue, or you can’t get it through the door! Be practical about delivery and collection, think reasonably about whether what you are planning is achievable. Think also about where the venue is. If you’re planning something in a venue that’s just off Oxford Street in London, access is going to be limited, and probably based on a very fast unloading and loading time! Be practical. It’s impossible to stress how important getting your timing right is. If you order services or supplies to be delivered to an event and they come at the wrong time, you can find yourself in difficulties. Too early and you might find they can’t be brought in yet – what do you do with a van full of props, or chairs perhaps? Too late and your clients or guests start arriving whilst you’re still setting up. Bear in mind how long loading and unloading the delivery will take too. It’s easy to suggest a time but you need to work out how long it will take everything to be ready. Will it come wrapped in packaging for safe delivery? That can take a long time to unwrap for example. Does anything need assembly on site? Always allow plenty of time for this to go wrong too! 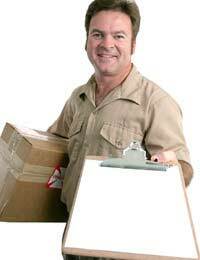 Ensure that the timings you arrange for the delivery work with any limitations the venue might have. For example if you’re using a venue space that has been occupied the night before, perhaps you won’t be able to get in to set up yours until later in the day after it’s been cleared. If you’re the one responsible for the hire of the venue you should also check that using the space during the day doesn’t incur extra charges. There are some venues that will charge you for hiring the room during the day just to set up for an evening event. You’ll need to be aware of any restrictions that are placed on you by the venue for collection too. Firstly check that your delivery times are acceptable, but also importantly make sure that you know when the room has to be cleared. For events during the week at off peak times of the year, it may well be that you can come back the next morning to collect things, but during busy periods, Christmas for example, you will need to clear the room at the event of your event to make way for those coming in first thing in the morning to set up theirs. Make sure you tell any suppliers this and ensure they know when they have to come back for their belongings!